Written specifically for the Northeast climate, this definitive guide to growing sweet, juicy strawberries reveals the secrets to a prolific berry harvest every year. Learn about the best strawberry varieties for the Northeast climate and even how to extend the strawberry season into fall. Chock full of up-to-date information, including organic growing principles, this book reveals how to get your strawberry patch to thrive season after season. Soil preparation, planting and maintenance are included, as well as an entire chapter on eco-friendly, non-toxic treatments for pests and diseases. The 94-page book includes photos, illustrations, resources and recipes to enjoy the fruits of your labor. Book Available on Amazon in e-book format! Enjoy a long harvest of strawberries and even year-round production in Southern California by growing the Seascape strawberry, which you can find by clicking here. After lots of research and writing, the next version in The Strawberry Story series is just about out! The Northeast edition is set to appear on Amazon on March 19th. Who would have known how different it is to grow strawberries from one coast to the next. 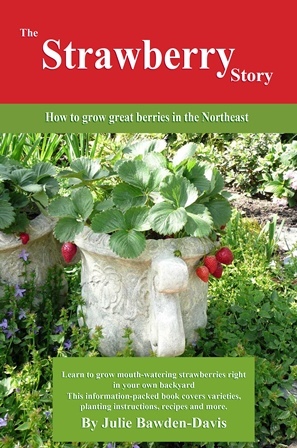 If you’ve ever had difficulty harvesting big, juicy strawberries in your Northeast garden or getting your plants to thrive season after season, this book will clear up all confusion. It turns out that the varieties you grow and the methods you choose for your area make a BIG difference. There is no one-size-fits all method for all strawberry growing climates. Even the nomenclature is different. Did you know, for instance, that bareroot strawberry plants in the west are known as dormant crowns in the Northeast? 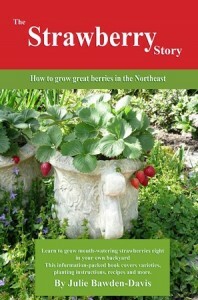 Grab your Kindle version of The Strawberry Story: How to Grow Great Berries in the Northeast next week. Also look for free download days, as well as the opportunity to win free plants!